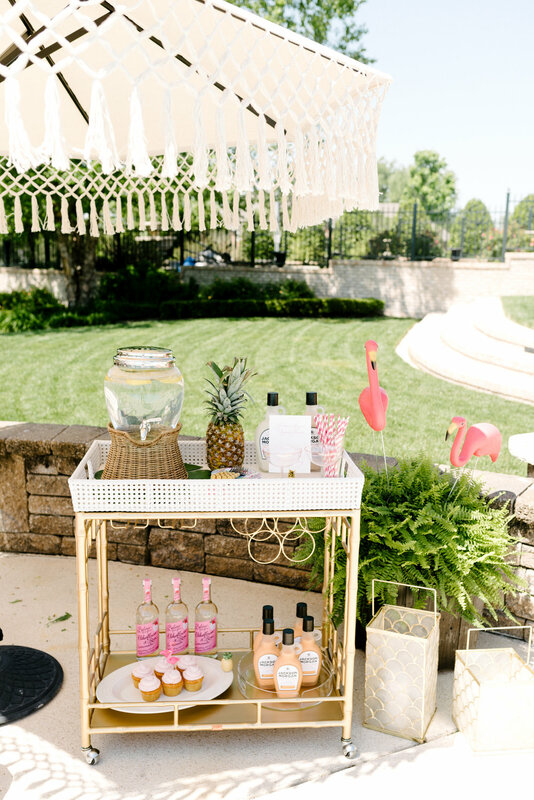 We shared details of our end of summer pool party last week, this week I spilling all the details on our cocktails that we served. You may be surprised at how easy these cocktails are to make! I am a huge craft cocktail lover, but sometimes they can be overly complicated and guests might feel intimidated. To keep things simple for my end of summer pool party, I served Jackson Morgan whipped orange and banana pudding plain with the option of adding ice. There were no complaints and no one had to play bartender all afternoon, that is a win win in my book. If you want to fancy it up, it would be fun to add ice cream and pour Jackson Morgan over it for a cool treat. In the past, we have created milkshake and sundae bars with every kind of topping and ice cream you could imagine. Check out our old posts for inspiration. What is your favorite poolside cocktail? All Photos Christy Wilson Photography.